Employees do not want to come to work if the office is not clean. Working in unclean conditions can be distracting. As an employee, it can be challenging to focus on a task when there are gross distractions that seem like more pressing than the work at hand. More importantly, can be a health concern. If a space is not cleaned properly, mold and dust can develop and cause severe allergy problems for employees. This could lead to serious health issues and eventually lawsuits. Obviously, customer satisfaction is vital to a successful business. If conditions are subpar, customers will take note and may find the lack of care a symbol of the company’s care and ability. If a business cannot properly clean., who’s to say they will properly care for their customer? There is no need to lose business because of forgetting to vacuum a spot under a desk, or from missing the crumbs from your at-desk lunch. Appearance is important! 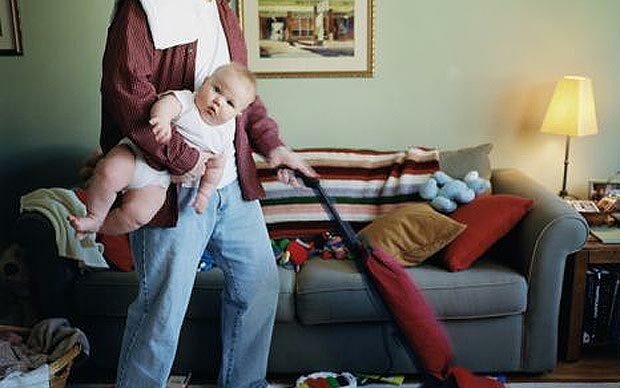 By hiring a professional, there is no concern as to who to hire for cleaning. Say goodbye to sketchy janitorial workers with poor credentials. Many times it can be hard to know who to trust in an office setting, especially when it comes to leaving someone alone with the office and all of its equipment. Hiring a commercial cleaning service alleviates concern as the employees are highly trained and easy to trust. Commercial cleaners are insured and licensed. The company is responsible for any issues that arise, leaving no concern for business owners. Commercial cleaning companies understand the volume of a business and the number of employees necessary to complete a job. Because of this, the office can be cleaned at a more rapid pace than would be possible with a single person or so. Commercial cleaners are able to work with a business to see a time fitting for everyone’s needs. There is no need to worry about inconveniencing office staff or customers. Commercial cleaners are experts at what they do. While everyone thinks they know how to clean, a commercial cleaner can surely do better. This is their expertise, and because of this, commercial cleaners possess better equipment to get the job done right. When running a business, something always needs to be done. Whether it’s getting to the next meeting or sorting issues with a customer, there is always something! 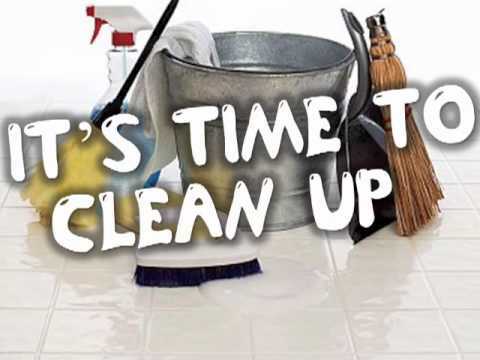 Not having to worry about taking the time to clean the office, or how to schedule the day based off when you can get someone to come and clean, can save lots of time and stress. Footprint Services are prompt and ready to clean at whatever time is necessary or convenient. Our commercial cleaners work with your schedule, rather than you working with theirs. Cleanings are consistent, and up to par with the quality of your business. Fridge Cleaning – What lives in your Fridge? Footprint services have been Commercial Cleaning in the Newcastle, Maitland and Hunter Valley region for over a decade, and we have cleaned a lot of offices fridges! Did you know that dangerous bacteria and fungi can live in your fridge, causing, food to spoil quicker, illness and in extreme cases even death? Bacteria such as E.coli, salmonella and listeria are some of the most dangerous found in the fridge, bacteria and mould can be distributed throughout the fridge via the air ducts and will become airborne, resulting a in a face full of bad smells, harmful bacteria and fungi every time you open the fridge! Make sure the seal are not cracked or deteriorated. Bacteria and fungi thrive in warm moist area’s will only slow down in the fridge not die, limited the further with correct temperature and reduce the moister content with open containers of bi-carbonate soda. Keep food covered in an air-tight container. separate acidic fruits from non acidic fruits – the acid in lemons, oranges and the like will cause fruits such as banana’s to ripen quicker. Foods such as cooked rice and pasta has a very short shelf life of about 2-3 days and cause very serious illness if spoilt. If left in the fridge too long can grow mould causing respiratory complications and in some cases respiratory and pulmonary disease, bread can also spoil causing Ropey bread, or rope. Ropey bread is a bacterial spoilage condition of bread caused from Bacillus subtilis, B. licheniformis, B. megaterium and B. pumilus. 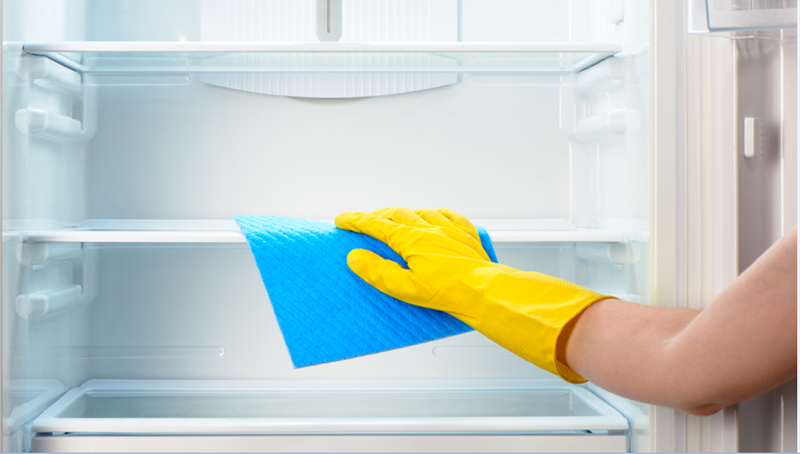 Fridge Cleaning should be done regularly! Footprint Services love cleaning and sharing our knowledge, Commercial Cleaning companies often refuse to clean the office fridge, Footprint services however include the office fridge as part of our services! Unfortunately as a Commercial Cleaning company we can’t clean your fridge at home but here are some tip to show you how using cheap eco friendly and safe chemicals. Warm water in a container. Discard spoilt and un-covered food. Empty fridge and turn off (Put perishables in esky). Remove shelving and any other items such as crisper trays and ice trays (freezer) and soak in your sink with warm soapy water. Gently scrub the interior with warm water and Dishwashing liquid, to remove sticky spills use rubbing alcohol and warm water. If you are able to remove your air-filter wash in the sink with warm soapy water, after rinsing wipe down with vinegar before return (Vinegar will help stop mould). Wipe down the interior with a soft cloth and vinegar (helps stop mould growth). Use a toothbrush to get into those hard to reach places. Scrub the shelves and other items with a non-scratch pad rinse and dry. Wipe down shelving and other item with vinegar and return to fridge. Place an open container of bi-Carbonate soda to the bottom rear of fridge where it will be out of the way. Wipe down the seals with vinegar and a soft cloth (use a soft toothbrush to reach those hard to reach areas). Check seals for cracks and deterioration. If you moved your fridge out from the wall before turning back you will need to let the fridge coolants rest for about 30mins. Leave the door open for about 20mins to let it air. Turn fridge on and wait about an hour before returning food items. Fridge cleaning should be once a month! 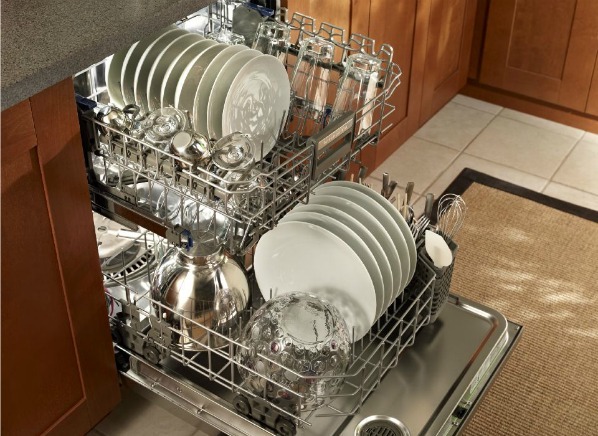 How effective is your Dishwasher Cleaning? A dirty dishwasher can be ineffective when washing dishes and can also cause illness! The moist and hot environment in a dishwasher serves as a perfect habitat for two types of dangerous fungi, Both Exophiala species have remarkable tolerance to heat, high salt concentrations, aggressive detergents and to both acid and alkaline water! Keeping your dishwasher clean and free from build-up is very important so let get on with your Dishwasher Cleaning with minimal effort and fuss. Run a cycle with nothing in the machine, when finished completely drain the water from your dishwasher. Remove the racks and check the spray holes. Make sure the holes are clear of build-up you can use a toothpick to remove any build-up (be careful not to scratch around the holes as it can cause irregular spray distribution). Scrub (Non scratch cleaning pad)the inside walls, the top and bottom of the machine with warm water and soap, use a tooth bush to get into the hard to reach places. Remove the waste water grate and clean with non scratch pad, soap and warm water around the area removing any build-up and particles, flush the draining hole with baking soda and warm water, use a tooth bush to get into the hard to reach places. Remove and wash the filter by disassembling in your sink, clean with warm water, non-scratch pad and soap, use a tooth bush to get into the hard to reach places. Wipe in the door seals and remove build-up around the edges of the door. Remove the utensil rack and clean with non-scratch pad and warm soap water, use a tooth bush to get into the hard to reach places. Once clean reassemble your machine carefully and run a empty cycle using 3 cups of vinegar poured into the bottom of the machine vinegar in order to remove remaining debris and calcium build-up, stop the machine and let soak for about 30 minutes and then finish cycle. Clean exterior with vinegar and micro fibre cloth be sure to wipe with grain and dry with another cloth, again you can use a soft tooth bush to get into the hard to reach places like buttons. Newcastle’s Commercial Cleaning specialists tips to wash your car! We service a verity of clients through the Hunter valley, Maitland and Newcastle region! Companies that often need to transport clients such as Real Estate companies need to have the car as clean as the offices we clean! Here are some tips on how to get your car clean and smelling fresh! Rinse your car with water on a medium to strong spray in order to get rid of loose dirt and grime. This is important to help prevent scratches when applying soap! Scrub down your car using a sponge, you can get into the hard to reach places using a soft toothbrush, however be careful not to scratch your paint work. Clean wheels last as they are likely to have the most grime that could potentially scratch the paint, use a firm toothbrush to clean in those hard the reach places. If you have “mag” wheels you can use vinegar and a soft cloth to give them that “mag” wheel shine! Rinse down the car making sure you remove all the soap as it can cause residue. Important! Some interior surfaces can be sensitive, especially leather, before using chemicals on these areas, test the chemical on a small area out of site just to make sure the dye doesn’t run or fade. Vacuum out the ashtray and put in coffee beans (Coffee beans are a natural deodoriser) you can also use bi-carbonate soda if you don’t like the smell of coffee! Dry down surfaces and wipe surfaces with baby oil or Amorall, apply with soft cloth, be careful when applying to steering wheel and gear stick as the surface may become slippery! Try putting coffee beans or bi-carbonate soda in a stocking and tire off at one end, making little parcels the size of a golf ball and place in to the glove box, car seat pockets, and anywhere else you can think of where they will be out of site and not in the way, this will help keep your car smelling fresh! Thanks for reading our blogs, we hope you find them useful. Footprint services love cleaning and happy to help your business with all it Commercial Cleaning needs call us on 1800 988 609 or contact us at http://footprintservices.com.au/contact-us/ to obtain a no obligation quote backed by our 5 powerful guarantees! Footprint Services are proud to offer one of the most thorough, flexible and adaptive Commercial Cleaning Services in the Hunter Valley region. We have a large team of qualified cleaning and maintenance professionals who can respond to a wide variety of service needs, either on a one-off or ongoing basis. We specialise in tailoring a Commercial Cleaning Service to clients who have a breadth of cleaning needs, but would like to combine this with a service that can also cover basic general maintenance, unexpected clean-up needs, window cleaning, gutter fire safety, the removal of excess waste and recycling, and even the supply and refilling of consumables. 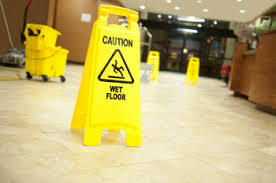 If you want to deal with a professional Commercial Cleaning Company who can talk you through your needs and how to most efficiently meet common Workplace Health & Safety requirements, Footprint Services is the right choice for your business. Footprint Services offer an extensive range of Commercial Cleaning packages. We already know what all the basics are and can take care of them without being asked. Instead, we’ll present you a range of optional extras and you can choose what suits you. Footprint Services have been working in Newcastle and the Hunter Valley region for six years, and have experience in matching our services to the scale of different clients. We clean office kitchens, bathrooms, meeting rooms, receptions, workstations and customer-focused retail premises. Where can we clean for you? 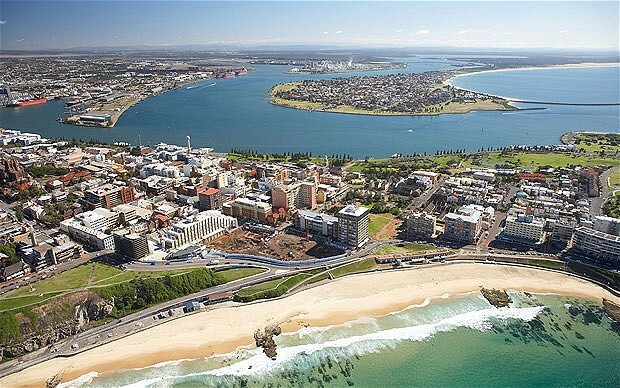 We are the most trusted Commercial Cleaning Company in the Hunter Region: including Newcastle, Lake Macquarie, and Maitland. Our usual Commercial Cleaning package is ideal for businesses with 10-15 employees looking to keep their premises clean for prospective clients and stakeholders as well as complying with WH&S regulations. We recognise that every commercial cleaning site has differences and we are happy to meet you at work and discuss a tailored Commercial Cleaning plan for you. If you are a landlord rather than an office tenant, talk to us about drawing up an obligation-free quote for cleaning services for all the businesses in your premises as well as the shared facilities. This way you’ll have a firm idea of how much to add to the rental cost for each tenant in order to cover cleaning costs, and you can offer a tailored Commercial Cleaning Service as part of your lease agreement. As a local, family-owned Commercial Cleaning Company, you know you can trust Footprint Services. If for any reason you are not 100 per cent satisfied with a commercial clean on any given day, please speak with one of our onsite team leaders or call 1300988609 and we will gladly re-clean your premises for free – no questions asked. We are centrally located and guarantee that our team will always arrive on time. We guarantee to help you meet your WH&S requirements. A one-size fits all Commercial Cleaning Company could never offer that level of service. To read more about what we guarantee, visit our ‘About Us’ page. 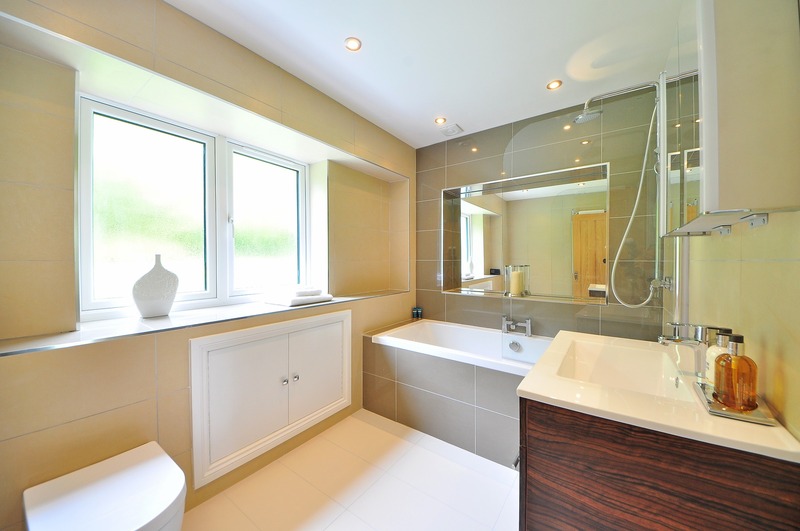 Bathrooms harbour harmful bacteria and sometimes mould and mildew spores that can cause respiratory problems. How Clean Is Your Bathroom? Footprint Services take Hygiene seriously and we love to share our knowledge to keep you safe at work and at home, here are some helpful tips and habits that can help you keep your bathroom clean at home. The toilet harbours , bacteria such as E. coli and salmonella and your Shower head alone can harbour Mycobacterium avium, a pathogen linked to pulmonary disease. Start at the top: Pour white vinegar into a plastic grocery bag (enough to fully submerge the showerhead nozzle) and tie it in place for an overnight soaking. Remove it in the morning and run the water for a minute. Wash your plastic shower curtains in the washing machine with your regular detergent and a few old towels, which act as scrubbers to get rid of soap scum and mildew. Rehang to dry. Shower doors, make a paste by mixing a few drops of white vinegar to a cup of baking soda; apply it directly to the door. Let sit for an hour, then rub with a microfiber cloth. Rinse and buff dry with a fresh, dry microfiber cloth. Wet the tub with hot water and apply a bathroom cleaner and let sit for 15 minutes before scrubbing with a non-scratch scourer. Helpful Habits! : Wipe all surfaces after showering or bathing, and leave the window open for one hour a day to lower the room’s humidity level. Be sure to ventilate the room. Spray tile, countertops, walls, and the ceiling with all-purpose cleaner and let sit for 20 minutes. Then wipe down all surfaces with a clean cloth. To reach high spots, use a clean, dry microfiber mop. Pour white vinegar or baking soda down the drain and flush with hot water. Start by pouring a cup of baking soda and bleach into the basin (Plug in)and scrub with a non-abrasive scourer, rinse with warm water and let drain, wipe down with an anti bacterial and dry. Helpful Habits! : Dab baby oil on the soap dish to keep the bar from sticking and sliming up. Alternatively use pump-action soap dispenser which will minimise germs. If you lather your hands before you turn your taps on you will minimise the germs that are often found on bathroom taps, remember to wash your hands properly with warm water and soap , rinse the taps before turning them off, dry your hand and the taps! Spray mirrors with glass cleaner, then use a lint-free cloth or a news paper to wipe clean for a streak-free shine. Make the most out of the transfer when Changing Your Commercial Cleaning Company! Do you you feel as though your Commercial Cleaning Company isn’t right for you? Consider Changing Your Commercial Cleaning Company! The standards upheld by any Commercial Cleaning staff member are ultimately decided by the Commercial Cleaning Company – as long as an individual cleaner meets the expectations set by the head of their Commercial Cleaning Company, you don’t have a lot of control over raising the standards. Whenever you consider changing your Commercial Cleaning Company, focus on evaluating their ability to manage the motivation, training and intentions of the Commercial Cleaners they’ll be providing to you. Do you think they demonstrate effective management procedures? Do they have a track record of evaluating performance and taking steps to raise performance benchmarks? A review of the Commercial Cleaning Company tasks you require and whether you have had specific areas of difficulty / grievance with cleaners through your last Commercial Cleaning Company. A documented selection and recruitment policy – so you know any new staff hired after your contract is signed will continue the same level of quality work and commitment. Ensure that the hiring process involves a thorough application, police check and references even when the positions are not advertised publicly. A clear job profile has been drawn up for the task(s) of cleaning your premises – detailing what tasks are expected from the new Commercial Cleaning Company, and that they will be expected to re-clean any areas that have been deemed as not up to standard by you – the service buyer – as well as by their supervisor or employer. During a consultation or quote, as well as outlining whatever you’d like to see improve after you transfer Commercial Cleaning Companies, ask the prospective Commercial Cleaning Company if they have any recommendations for how you could improve efficiency of the operation. In summary, when you consider changing your cleaning provider, this is the best chance you have to make sure that the new Commercial Cleaning Company chosen by you will invest their time, energy and management skills in the Commercial Cleaners that will be servicing your business. Footprint Services will be glad to offer you a tailored, no-obligation quote to meet your commercial needs.